"It is prescribed that teams and individuals do not participate in organized post game handshake lines/ceremonies beyond that interaction that is required by the NFHS playing rules (i.e. the awarding of a bout winner in wrestling) and the individual unorchestrated actions by individual competitors." This clearly directs member schools to refrain from "organized" handshakes. 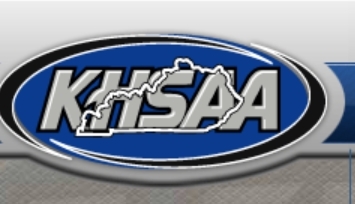 Julian Tackett, the commissioner of the KHSAA issued a statement today saying they had intended the directive to be "not a rule, not a policy, but more than a recommendation or suggestion." "Certain interaction is required by the NFHS playing rules (i.e. the awarding of a bout winner in wrestling). Other postgame rituals such as handshakes, etc. must be closely monitored by school officials and are not a part of the game regulated by game officials." As you can see, it no longer prescribes "that teams and individuals do not participate in organized post game handshake lines/ceremonies." Tackett argues that they never intended to prohibit such ceremonies. It is clear what happened here. The KHSAA was widely criticised for the directive it issued yesterday. They were embarrassed. And so the instruction to refrain from organized handshakes was removed from the directive. Fine. But to suggest that there was never any intent to prohibit organized handshakes is disingenuous. The meaning of the directive was clear. Refrain from organized handshakes. Arguing that it was more than a suggestion but less than a prohibition is like Bill Clinton saying, "It depends on what the meaning of is, is." At the end of the day we should all be glad that the directive has been amended.